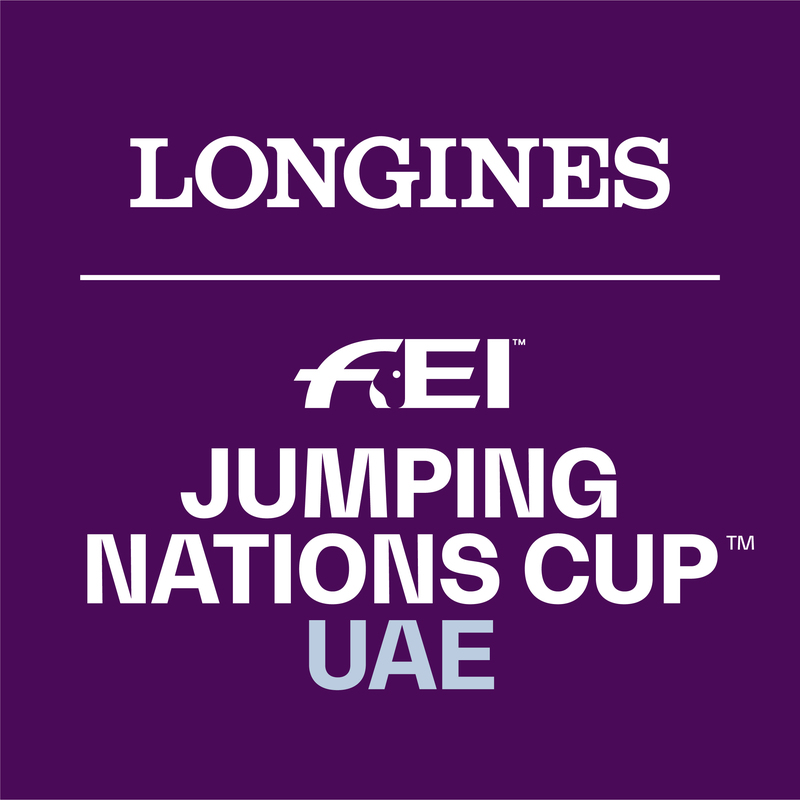 France produced a perfect performance as they pipped hosts Switzerland to take victory in a thrilling third leg of this year’s Longines FEI Jumping Nations Cup™ in St Gallen. Nicolas Delmotte was the rider to take the pressure in the fourth rotation, but he was equal to the task and helped his country to overcome the Swiss, on eight points, with Belgium third on 13 points. This was the 15th French win at the Swiss fixture since 1987, and the first time in 20 years for any country to win the event with a zero score. Despite not taking victory in front of their home fans it was a third consecutive podium finish for the Swiss, and keeps them well on track to qualify for this year’s Final in Barcelona. ...who, with her lovely nine-year-old stallion Volnay du Boisdeville, was one of the French riders to finish without a fault. Alexandra Francart who runs a relatively small 12-horse competition yard near the Belgian border, not far from Riems, was competing in her very first 5-Star Nations Cup and only her second 5-Star show. She admitted that she got her chance only by pestering Chef d’Equipe Philippe Guerdat over the last few months. She said: “My horse is very talented and the first time we placed in a 3-Star Grand Prix I told Philippe - ok we are ready, it’s time to give us a chance! Then I told him again a second time, and when I called him a third time he agreed!" Brazil were looking to take top honours again after their outstanding performance in La Baule, but the European nations weren’t going to give any points away without a fight. The first team riders set the bar high with a clear for France courtesy of Mathieu Billot, a clear for Great Britain from William Whitaker and a clear from Janne Friederike Meyer-Zimmerman for Germany. Felipe Amaral for Brazil also jumped a super clear to get the riders in green off to a good start coming off their high in La Baule. Francart kept France on a 0 score during the second rotation, but Brazil’s Francisco José Mesquita Musa dropped one pole to leave them on 4, as did Germany’s Christian Kukuk. Belgium’s Francois Jr Mathy, however, kept Belgium in a super position with a clear to add to their previous round score of 1 fault due to a time penalty. Sam Hutton had 17 penalties for Great Britain, really putting the pressure on the remaining riders. The French were on a roll with Delmotte also jumping a super clear despite his horse napping hard near the gate in front of a big oxer, taking the pressure off their fourth rider and guaranteeing them a score of 0 heading into the second round. Steve Guerdat managed a clear on Bianca, finishing with a buck through the finish line much to the delight of the home crowd. Karina Johannpeter struggled a little to keep the big and strong Casper 150 together, and finished on 9 penalties. The pressure was on for Holly Smith of GB, who rose to the occasion and produced a super clear, but her team member Louise Saywell was eliminated after two refusals at the water. France were looking strong coming into round two B but the nature of Nations Cup tournaments means that standings can change in an instant, so there was no room for complacency heading into the second round. Switzerland made sure they stayed in contention by posting a clear in the first rotation of the second round, as did Germany, Great Britain, Belgium and, most importantly, France. Kukuk and his 9yo stallion Lukas 1054 performed better in the second round with a clear, keeping Germany on 0 for the second round. Mathy racked up eight faults, and Swiss rider Beat Mandli knocked the penultimate fence for four faults, where a clear was really needed to put some extra pressure on France. 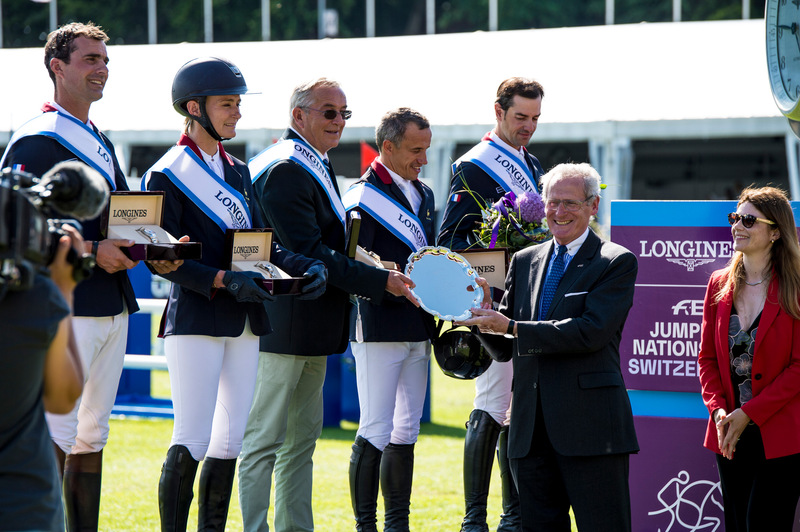 Francart had a slight reprieve in the pressure with eight penalties in hand over their nearest competitors, but still jumped a clear to increase the French lead over Switzerland. Germany had a fantastic second phase of the competition with yet another clear in the third rotation to guarantee them a 0 score for the second round, but with a first round score of 16, a stellar second round was more for pride than anything else. Similarly, GB's Smith managed another clear to keep her total for the day at 0, but it wasn’t enough to make a difference to the poor British score overall. Christophe Vanderhasselt also had a vastly improved second round – from 16 faults in the first to a clear in the second. The pressure was on Guerdat to jump a clear to keep Switzerland in contention – but if there was any rider you’d want to have on your side when the pressure is on, the Swiss man would be up there. His ringcraft and experience were evident as he stayed composed and jumped a foot perfect clear to keep Switzerland on four for the second round, and 8 overall. 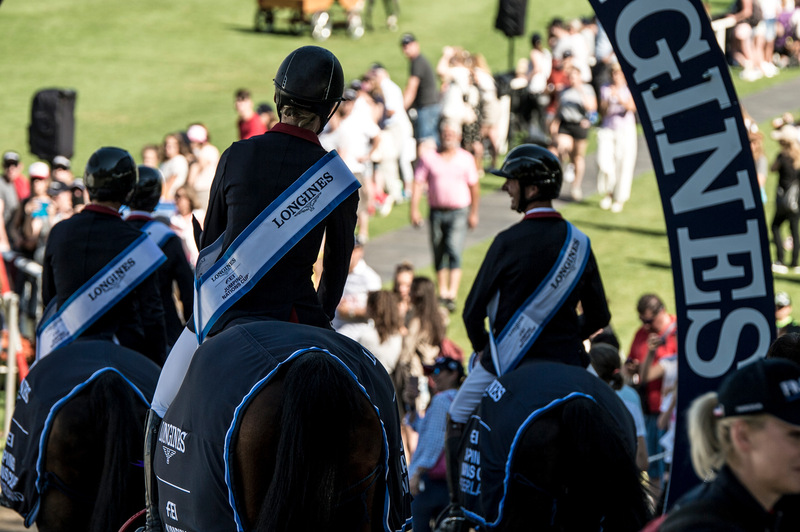 ...a pole would bring things right down to the wire for the fourth rotation, whereas a clear would guarantee the win and pile the pressure on Switzerland’s final rider to produce a clear too for second place. A minute later and a clear meant that France were guaranteed to finish on 0 and take first place.